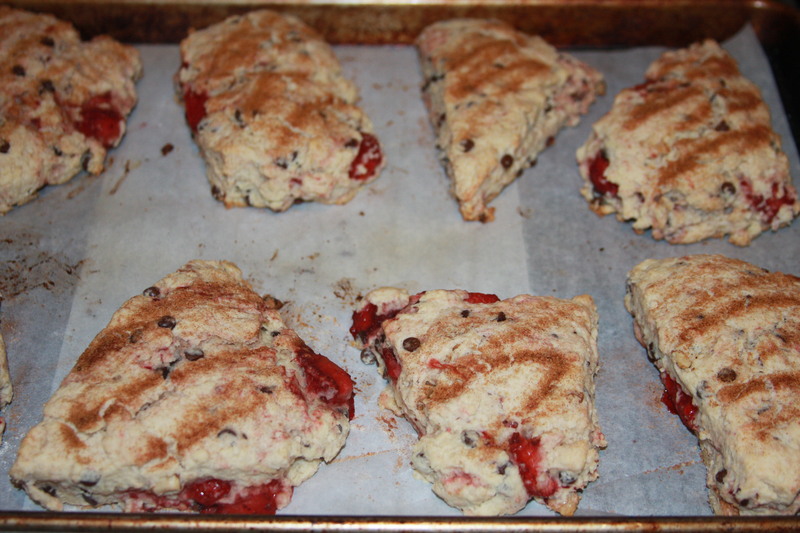 The first time I made these scones, I used a boxed egg replacer. 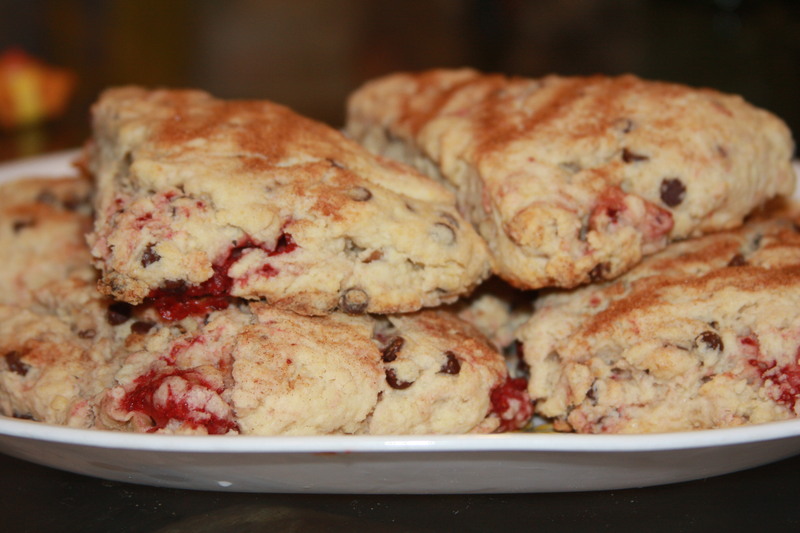 They turned out so perfect, that I have just stuck with this recipe ever since… I would love to try these sometime using a flax egg, but I just haven’t wanted to change a thing! 1) In a small bowl, make 1 “egg” with egg replacer & set aside. 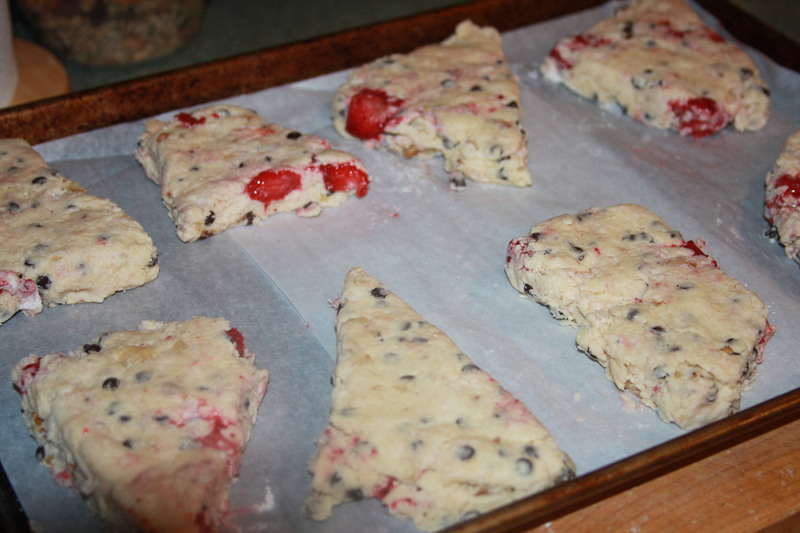 2) Preheat oven to 425 F. Line a cookie sheet (or two) with parchment paper. 3) In a large bowl, mix the flour, sugar, baking powder, and salt. Cut the cold butter into the flour mixture using a fork. You want it to be crumbly, like bread crumbs or slightly larger like pea sized crumbles. 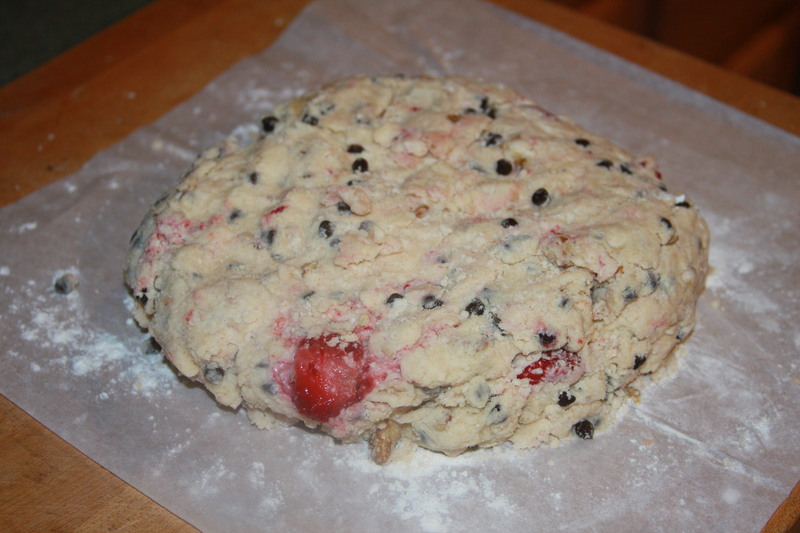 4) Stir in the chocolate chips, walnuts and strawberries. Getting the dough ready to flatten out and cut my shapes. I decided to go for 8 this time around...I think the cinnamon/sugar zig-zag makes them pretty. The cinnamon/sugar zig-zag makes them even yummier... is that possible? 7) Bake about 15 minutes until tops are just starting to turn golden. (Watch the bottoms for they tend to brown faster than the tops.) Cool on a wire rack. Devour. Voila! Stack them as you please (or just eat them)! If the holiday season has already got you feeling short on time, this recipe is one I recently discovered that will feed not only your belly, but also your soul 🙂 Throwing together a few simple ingredients has never tasted so good. Kale is fast becoming one of my favorite greens. I think it used to intimidate me because I didn’t know how to cook it, but I’m finding that it is really easy to prepare. Kale is SO good for you and the health benefits are amazing. This recipe is really easy & great… and surprisingly, my kids couldn’t get enough of it… and I can’t complain about that! Place a large pot of salted water to boil over high heat. Wash and trim kale as needed. Hold in bunch form and thinly slice remaining stems and leaves. Place in large bowl of cold water and swish to remove any remaining grit. Once water has come to a roiling boil, add soba pasta and cook 3 minutes less than the noodle packet instructs. Add kale to the boiling pasta, pressing down with the back of a large spoon as kale likes to float. Continue cooking, uncovered, until kale and pasta are tender, about 5 minutes or so. Drain pasta and kale then put back into the pot. In a small bowl, mix minced garlic (can be sautéed for a milder flavor), toasted sesame oil, tamari, and sesame seeds. 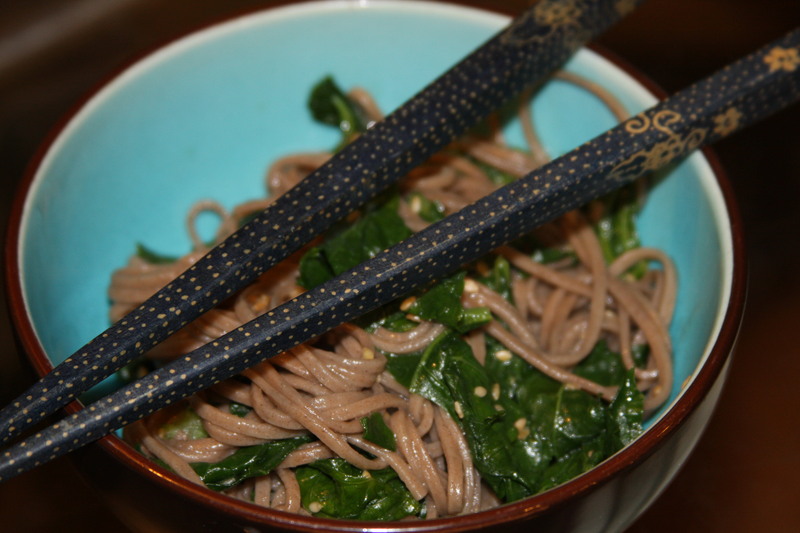 Pour over the kale and soba, toss to combine. Serve hot or at room temperature. My kids could NOT get enough of this “mac-n-cheese” I made the other night! I didn’t want to put too much hope that my kids were gonna think this was as yummy as me, so I gave them each small bowls, but that didn’t last long. My daughter kept asking “Can I have some more? !” and she also told me “This is the best dinner ever!” three times during our meal! My son apparently felt the same way because he cleaned his plate! They are both picky eaters, so I knew I had to share this recipe! My husband thought the taste was similar to the boxed faux mac-n-cheese by Roads End Organics called (Diary Free) Mac-N-Chreese. I dont know if you have ever had that, but it’s pretty good for vegan mac-n-cheese (though it honestly tastes nothing like Kraft mac-n-cheese, if that is what you are used to). However this homemade macaroni was easy to make and it’s full of healthy ingredients! I will definetly be whipping this together a lot more often rather than going for the boxed kind. NOTE: I have had mac-n-cheese made with Vegan Gourmet cheddar cheese, and it was really great (in fact, my mom made some at Thanksgiving one year and everyone loved it – non-vegans included) but I wanted to know I could make a decent mac that didn’t contain pre-made “cheese”. 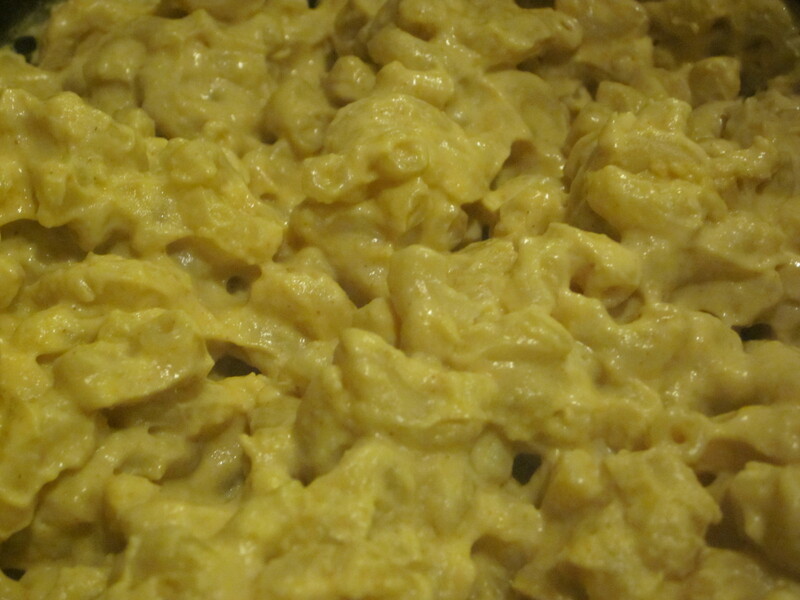 I have also seen recipes for mac using Daiya cheddar vegan cheese, which I’m sure tastes similarly delicious. If you are truly stuck on the Kraft brand MacN-Chz taste and want to make some vegan macaroni, I would try to make it vegan using the fake brands of cheese that are out there, such as Daiya or Vegan Gourmet… BUT… if you are going for the au natural route, this recipe is for you!! 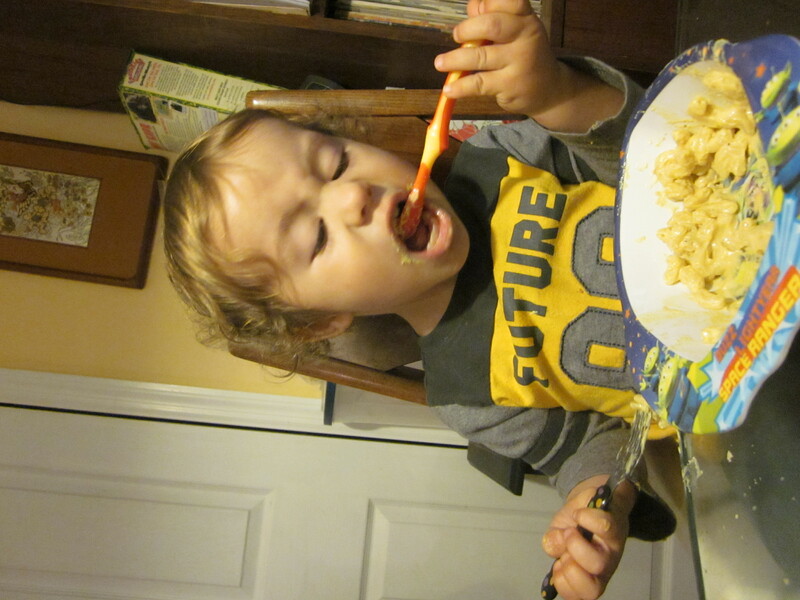 Here is my son eating his mac-N-cheeseless with gusto! Cook the noodles al dente according to directions (mine took about 7 min). While noodles are cooking, blend together the sauce in a food processor. When noodles are done, drain them & put them back into the pot. Add the sauce and cook on a low-med temp until the sauce thickens and cooks down a little (this takes about 5-7 min, depending). Enjoy! Hmmm...is it just me, or is a pile of mac not easily photographed?! I haven’t tried to do so, but I don’t see any reason why this couldn’t also be baked in a casserole dish, if that is what you desire. I would suggest following the directions and then instead of combining into a pot to cook the sauce down, simply combine/mix then pour into a casserole dish (covered? ), keeping an eye on it until it is bubbling & cooked down, then top with breadcrumbs and broil until browned on top. Let me know how it works out if you try it! Lately time has been passing by so quickly. I really can’t believe that Halloween is almost here and then we will be heading towards Thanksgiving… & then Christmas!! Well, I’m glad the holidays are coming up. I am definitely the kind of person that actually enjoys being with family for the holidays. In that sense, the holidays can’t come fast enough. Speaking of holiday gatherings, I made this soup at my family’s last Thanksgiving feast. Need I say, it was a huge hit. I think this soup is perfect for holiday gatherings. The kids loved it, it is easy and can be made rather quickly. If you have a emulsion blender (the stick-like blender you “stir” with, if you will) it is even faster to make this as you wont have to dirty up your food processor to purée. One thing you surely won’t have to wash are the serving bowls – they will be licked clean! First, cut the butternut squash in half, de-seed it & lay it flat side down on a baking sheet (I usually cover the baking sheet with tin foil and lightly oil it first). Roast at 400 F for 50-60 minutes until soft. Once it is done, remove the squash from the oven and let it cool while you assemble the rest of the soup. Saute the onion in 2-3 Tbsp oil in a large stockpot & set aside. Add the broth to the stockpot. (NOTE * If you do not have an emulsion blender, you will want to puree the sautéed onion first in the food processor with about 1-2 cups of broth.) Next, add all the other ingredients (except the squash) to the stockpot. When the butternut squash is cool enough, scoop the yummy out of the shell. 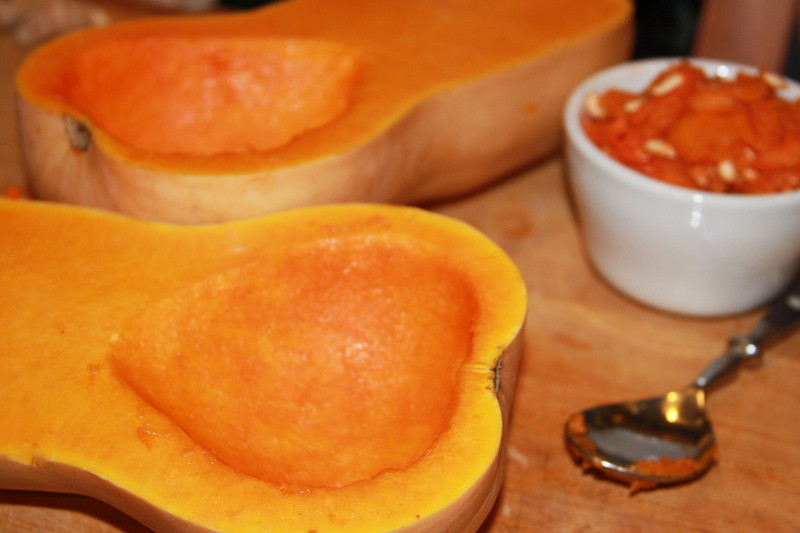 If you are using a food processor, puree the squash before adding it to the stockpot. 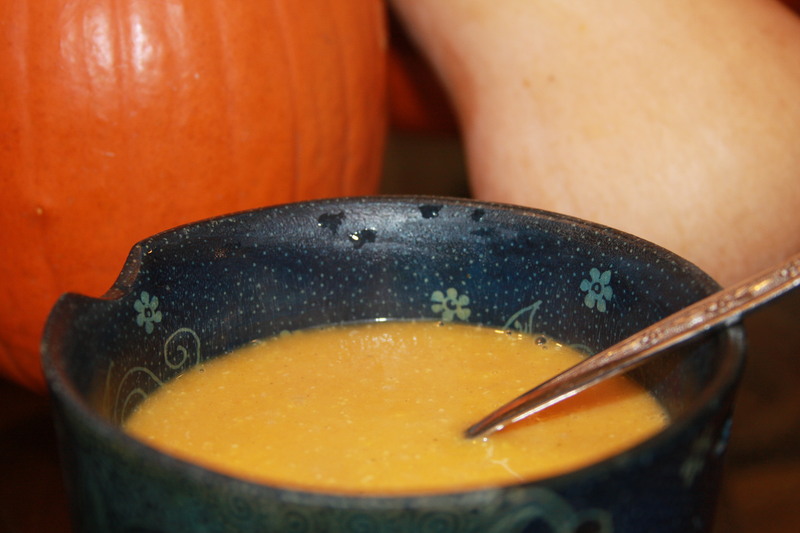 If you are using an emulsion blender, just plop the butternut squash into the stockpot, & puree away. Heat until ready to serve & ENJOY! So… Did you know that October is Vegetarian Awareness Month? October 1st is actually World Vegetarian DAY – and of coarse, since we’re talking vegetarian (& since eggs, dairy & cheese is included in the vegetarian diet) there’s NO excuses to not do your part for the Earth by saying no to meat for ONE day! YOU CAN DO IT!! Hopefully you will want to shoot for all 30 nights of meat-less meals (or more)!! I have been wanting to share this recipe for a while, which is (like all of my recipes) 100% vegan. 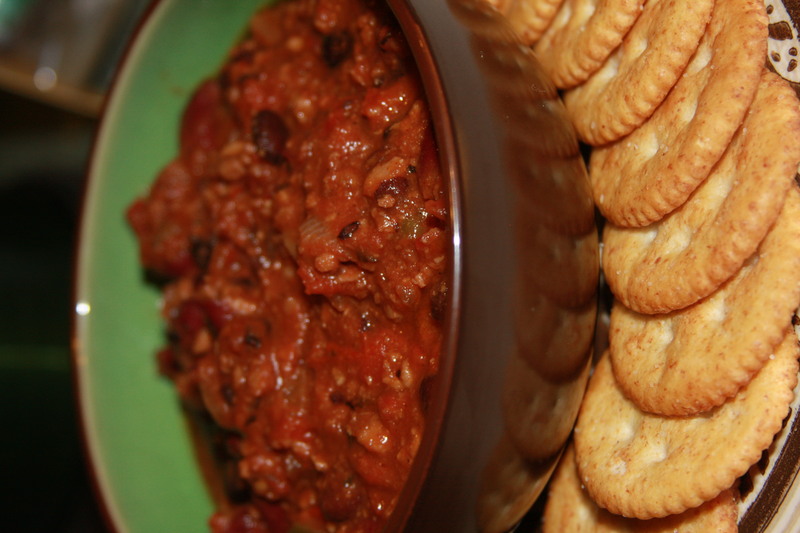 I have had many rave reviews on my vegan chili and I hope I can add yours to my comments below! Did I mention that my kids really love it too?! They usually arent crazy about spicy stuff, but they make an exception for this mildly spicy delicious chili! I like using Lightlife Smart Ground in my chili, but there are many different kinds of vegetarian crumbles you can find in the grocery store! Look in the freezer section if you can’t find it by the tofu. (Boca makes frozen crumbles but they may contain eggs if I recall correctly… that is also typical of Morningstar Farms varieties. (Unless you are vegetarian, look for the vegan symbol on the box.) Get one or two boxes depending on how “meaty” you like your chili! Mmmm! There's nothing like some good homemade chili!! Saute everything in a little olive oil and combine it with the “meat” in a large stockpot – or the biggest pot you have! Stir in all other ingredients and cook until heated through! Cover and simmer. The longer it cooks together, the better the flavor! Top with soy cheese & vegan sour cream if desired! 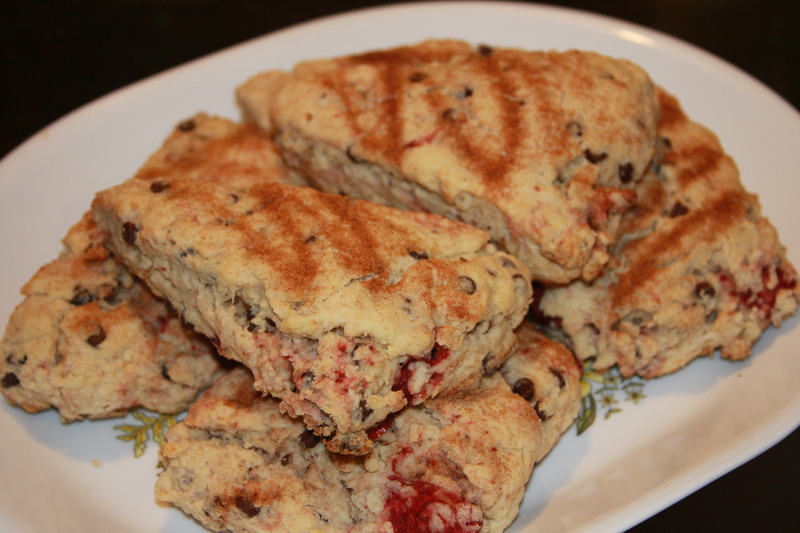 Serve with crackers or cornbread (my personal fave)! This chili also freezes great! OPTIONAL: You can even add 1/2 cup – 3/4 cup each chopped carrot, celery, or corn to the mix to throw in some more veggies, but allow some extra cooking time to soften those carrots! This recipe took shape as I was looking for a way to make a really nice moist bread… I decided to try using silken tofu, which gave it the nice fluffy moist texture I was going for and also some protein! 🙂 And by adding a handful (or more) of chopped walnuts, you also get some of your omega-3’s for the day! Mmmmm! Can I please have some more?! Preheat oven to 350 F. Pour wet ingredients into center of dry ingredients and stir until just mixed. You dont want to overmix nor do you want a pocket of flour hiding in there, so mix it until you feel good about it. (No whisking allowed!) Fold in the walnuts and pour the batter into a lightly oiled (or sprayed with non-stick spray) 9″ loaf pan. Bake 45-55 minutes until golden brown. Let it cool in the pan for 10-15 minutes and then place on wire rack to cool some more. 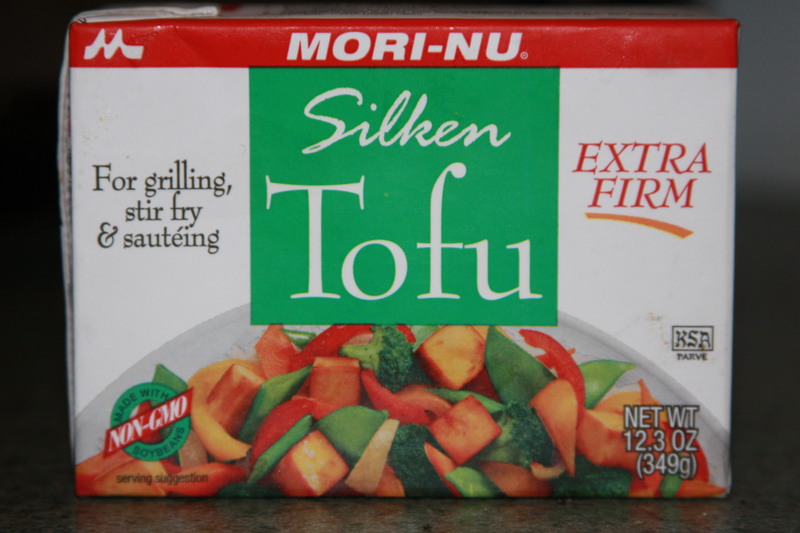 *I like to use the Mori-Nu Silken tofu. It is in a vacumm sealed box that can be kept at room temperature so it wont be found with the refrigerated tofu. They store it in the aisle with the asian foods at my local health food store. There are different kinds (soft, firm, extra firm) and for this bread I like either firm or xtra firm. In your average grocery store it will most likely be found in the “health” section. I have never tried this recipe with all purpose flour, so give it a shot if you dare, though I strongly recommend following my recipe for the best results. I really like the texture and nutritional content of the bread flour (the kind I get is in bulk and is labeled “unbleached bread flour” and has a slightly brown speckled coloring to it). 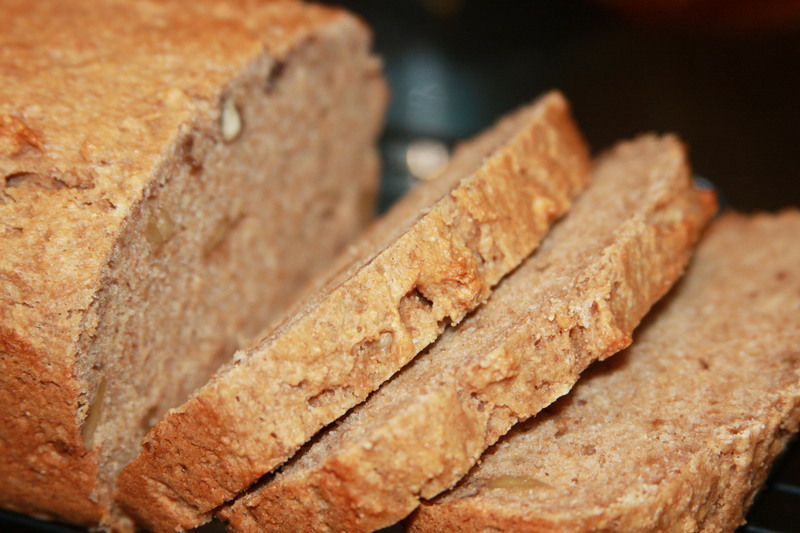 This is not pure whole wheat bread flour, which is much heavier & grainier. Regular bread flour should be available at all grocery stores.